Vicky Wells a Colorado native has been demonstrating her talent in art since high school. Vicky has a ken eye for detail and makes each piece turn realistic. She strives for perfection. Her true love is pencil but has also expanded into clay and acrylic paint. Most of her subjects are horses and livestock oriented. She has also participated in several art shows throughout Texas. 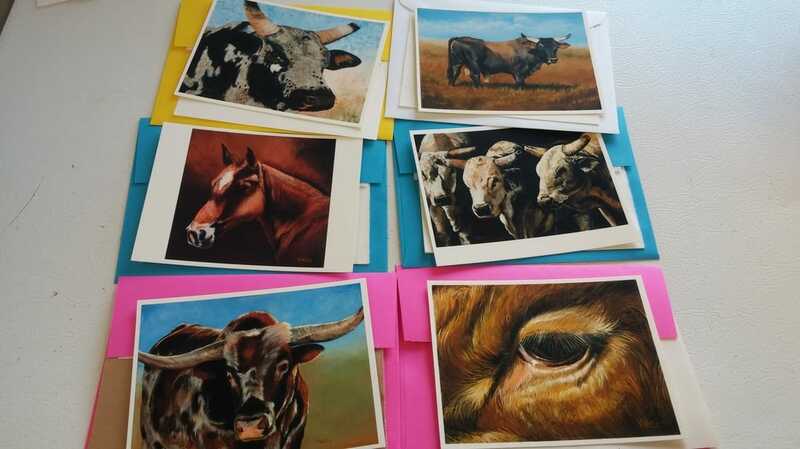 She does sell originals made into note cards "art in an envelope", prints and t-shirts. Please contact for pricing.